Recent permits filed detail a new three-building development on the eastern edge of Borough Park, Brooklyn. The site is comprised of both new and renovated multi-family homes, with house numbers 1663, 1667, and 1669 42nd Street. All three properties will stand 35 feet tall, and are divided into three stories with two residences. Each lot measures 8,814sf, for a total development area of 26,442 square feet. Filings for 1663 42nd Street do not include any enlargements, but point to interior renovations including a new hydraulic sprinkler system. 1667 42nd Street will see the construction of a new 5,135 square foot residence with a total of 3,851 square feet of dwelling space. Finally, 1669 42nd Street, also a new construction, boasts a total construction area of 5,330 square feet with 3,998 square feet on living space. Eyal Levit Architect will oversee design elements of all three properties. Mark Posner is sole owner of the neighboring lots operating under business entity YPO42 LLC. 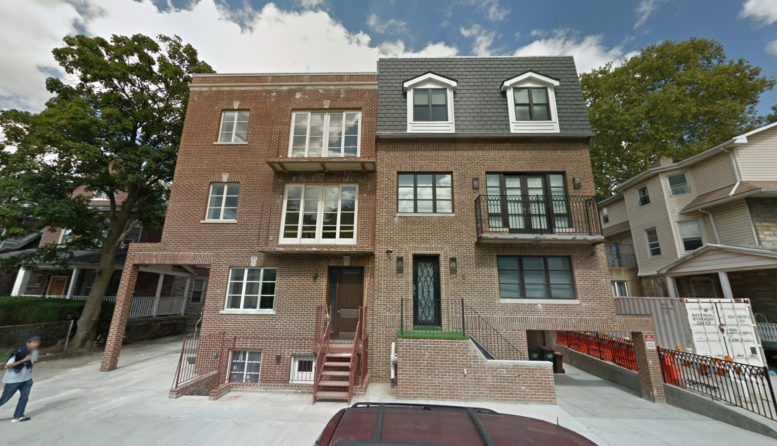 3 Comments on "Permits Filed for Three-Building Development at 1663-1669 42nd Street, Borough Park, Brooklyn"
Thank you, Looking forward to see this development.